As many as 1.78 lakh Shiksha Mitras (ad hoc teachers) have boycott classes, locked up some schools and blocked roads to protest against the supreme court order that quashed their appointment. Two Shiksha Mitras have committed suicide in Mathura and Amethi after allegedly holding the court and the government responsible for their act. The supreme court last week cancelled the appointments of almost 1.78 lakh Shiksha Mitras in UP on the grounds of their low qualifications. Calling the appointments illegal, the SC bench comprising Justice AK Goel and Justice UU Lalit said that the minimum eligibility criteria was not met while selecting the Shiksha Mitras and hence it’s not valid. The SC bench stated that the regularisation of these Shiksha Mitras was against the fundamental right of the children to get quality education which is also a clause in Right To Education (RTE) act. In its order, the apex court also offered a relief to the ad hoc teachers who have cleared the Teacher’s Eligibility Test (TET) – the minimum eligibility criteria as per National Council Teachers’ Education (NCTE) in 2017-- or would clear in future (in two attempts), who now can be appointed as regular teachers. 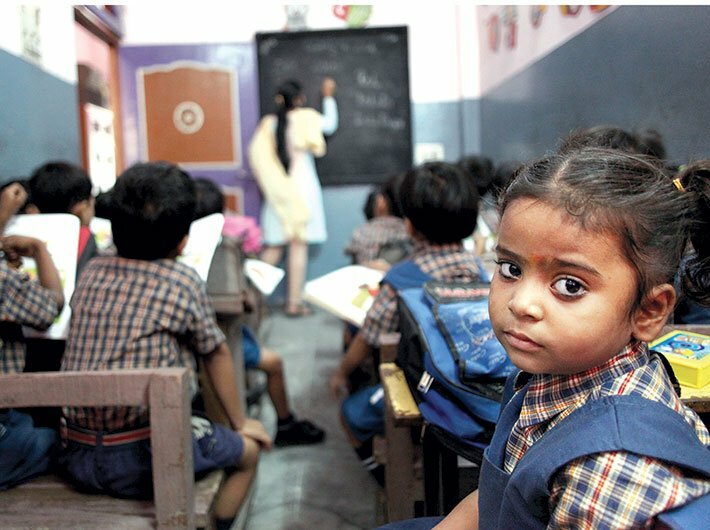 Shiksha Mitras are upset as it gives them only two years to pass the Teachers Eligibility Act (TET) in order to continue on upgraded payscale. State general secretary of UP Prathamik Shiksha Mitra Sangh, Puneet Chaudhary said that the court order went against them as the state government did not pursue the case in the court. “The government should file a review petition in the supreme court so that we get justice,” he told Governance Now. The Shiksha Mitras are on statewide protest since last Wednesday. The protest continued even on Saturday despite UP chief minister Yogi Adityanath assuring help to these ad hoc teachers. In his speech in the state assembly, Adityanath said that this irregularity happened due to the callous approach of the previous governments towards education and his government will take all possible measures to save the future of both the students and the teachers. The supreme court, while quashing the appointments of Shiksha Mitras, said that quality of education cannot be compromised. The court, however, said that some weightage to the experience of Shiksha Mitras or some age relaxation can be offered to the ad hoc teachers, but mandatory qualifications cannot be dispensed with. In 1999, the state government had decided to appoint Shiksha Mitras to teach students in the village as well as in the city outskirts. These Shiksha Mitras were required to have passed class 12 and their job was to assist the teachers at the government school for which they were supposed to get Rs 2,250 salary. However, in 2010, the NCTE made it mandatory for teachers to clear the Teachers’ Eligibility Test (TET). In Uttar Pradesh, the Samajwadi Party government in 2012 initiated the process to regularise these appointments as full time teachers after which the salaries of these ad hoc teachers increased up to Rs 35,000. In 2014 the state government also amended the teaching rules which don’t require qualifying TET and passes a resolution which confirmed the assimilation of Shiksha Mitras as assistant teachers. RP Mishra, another office bearer of Uttar Pradesh Madhyamik Shiksha Sangh, claimed that almost 70,000 of the 1.78 lakh Shiksha Mitras in UP have passed the Teacher Eligibility Test (TET) between 1999-2016, still the court has asked them to appear in the same test again. In Bareilly, 3,400 Shiksha Mitras are on indefinite hunger strike while in Mathura and Aligarh, the ad hoc teachers took to the roads after locking schools. Situation is no different in Kanpur, Lucknow, Meerut and other cities. As per media reports, Mahesh Kumar, a Shiksha Mitra in Katari government primary school in Amethi, committed suicide on Friday. Gayatri, a Shiksha Mitra from Mathura, also poisoned herself after the SC’s verdict. “The agitation will continue till we get justice,” said Mishra.